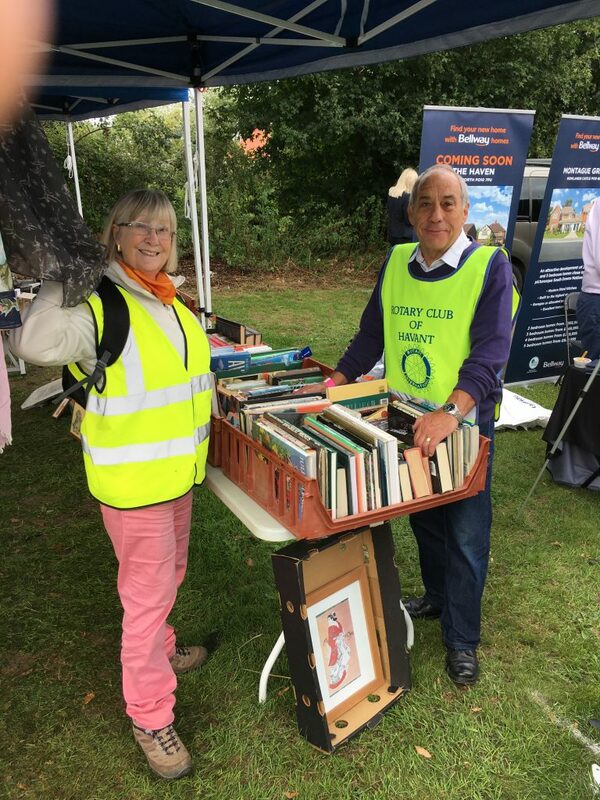 At the end of August on Bank Holiday Monday we had two gazebos selling books and bric-a-brac at the Emsworth Show. It was a fine day and we raised £337 for the ‘End Polio Now’ campaign, which will be tripled by the Bill and Melinda Gates Foundation. 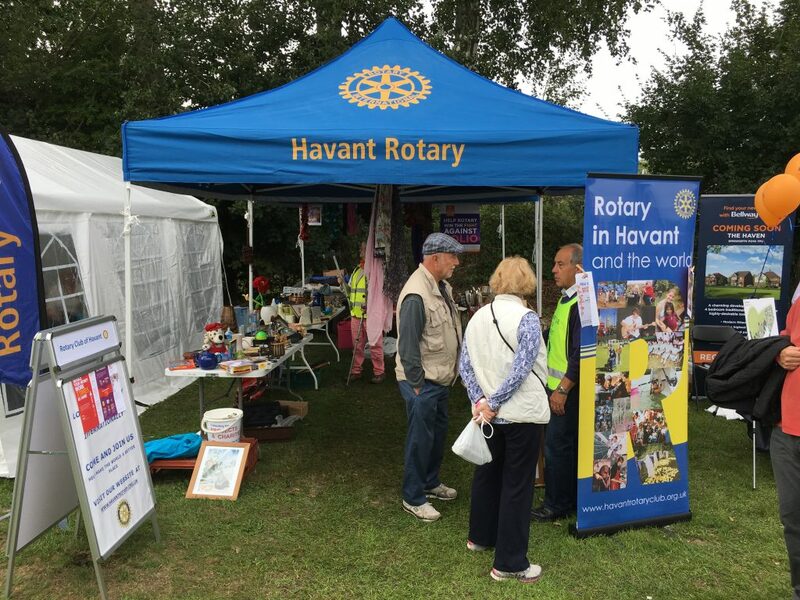 A rota of tabarded Rotarians manned the stalls.